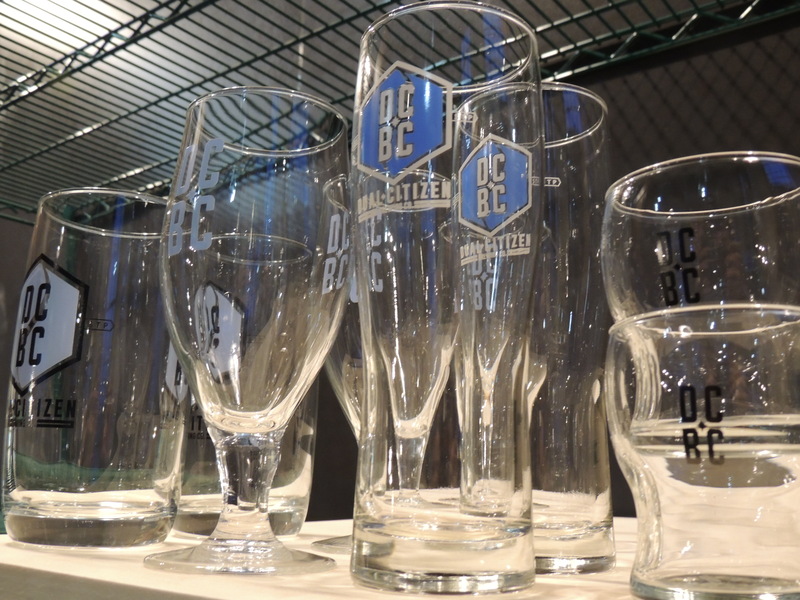 Over the weekend, Dual Citizen Brewing Company opened its doors right off of the Green Line and Raymond Ave. in St. Paul. As a Saint Paulite, this makes me want to jump for joy! 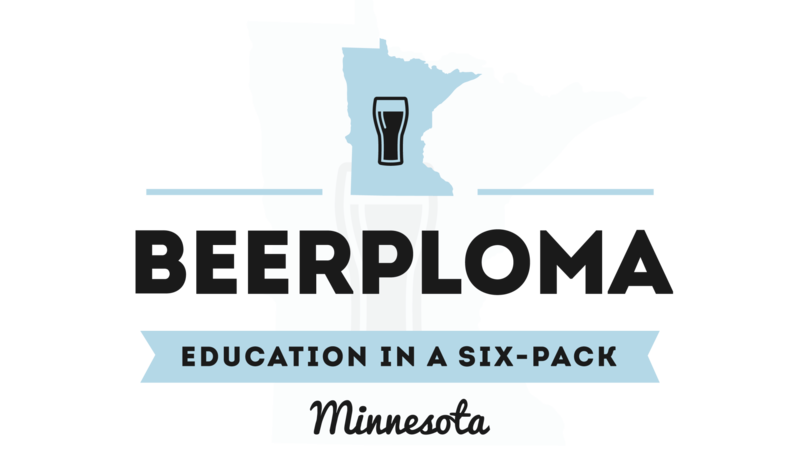 It wasn’t long ago that it seemed that new breweries would only open up in Northeast Minneapolis. Thankfully, Dual Citizen chose to plumb their pipes in the capital city, despite the fact that their namesake implies that it is possible to be both a St. Paulite AND a Minneapolitan. Well, I am not going to settle that debate here, but I am going to explain why you should be excited about Dual Citizen Brewing Company. An unnerving trend in craft/independent beer is people opening up breweries with no semblance of professional brewing or industry experience. There are definitely those who are trying to break in and make a quick buck. Luckily, thanks to the likes of Fair State, Summit, Dangerous Man, and Surly, we know that consistency and quality are the hallmarks of success in this industry. In 2018, if you think you can just open up a brewery because your friends liked your homebrew, I have some real estate I would like to sell you. 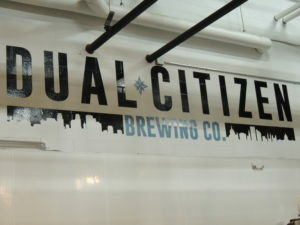 At Dual Citizen Brewing Company, there is professional experience and the pedigree of the brand is legitimate. Max Filter, the gentleman with a fantastic beard and affable smile will be doing the brewing at Dual Citizen. Max learned to brew at the Siebel Institute. Max’s industry experience started at Left Hand Brewing Company in Longmont, CO, where he worked in the packaging department. He then became a brewer at Renegade Brewing Company in Denver, CO. I have been to both breweries and can confidently say that we are lucky to have someone in this market with those types of professional experiences. Max’s cousin, Tim Kessler, is the General Manager and also shares an intense passion for craft beer. Other than a familial connection, these two lads are energized about making this a place where people will come and congregate. The first thing that they showed me was the bathroom area. The bathroom area in a brewery often goes underappreciated. 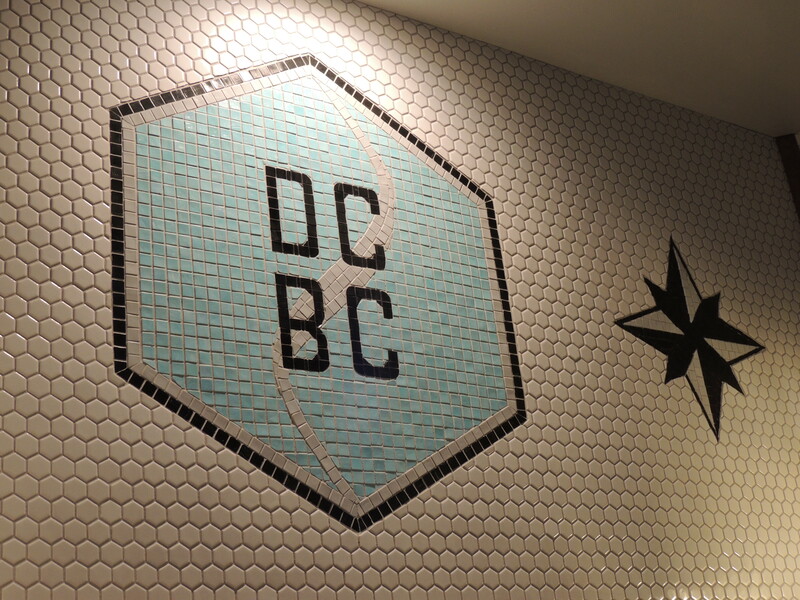 The sink area has an amazing tile/mosaic with the logo prominently displayed. You should also take some time and look at the amazing texture on the front of the bar. There is definitely more talent than just brewing and facial hair propagation in this family tree! If I am making it sound like they have done this before, they have. 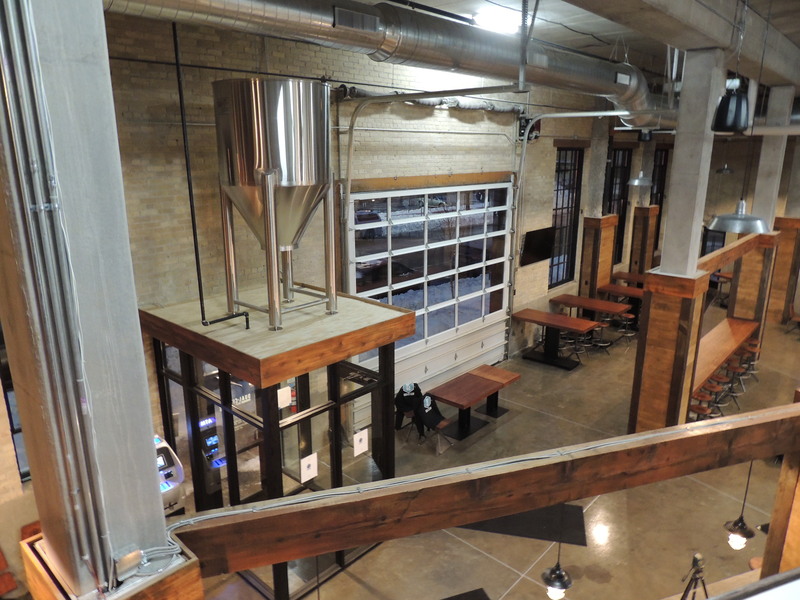 Back in 2010, they attempted to open a brewery in a house in Saint Paul. Between a few missteps and removing a lode-bearing wall, the location was shut down by the city. Looking back, this was probably the best thing that could have happened to Tim and Max. It forced them to take a step back and realize that they had a lot more planning to do. I am happy that they stuck with it because they definitely applied every lesson learned to Dual Citizen. The taproom is cozy, yet spacious. There are beams of dark wood everywhere that make it feel homey. Huge windows are everywhere and the presence of natural light will be a boon for those of us who wage war with the lack of sun in the winter. 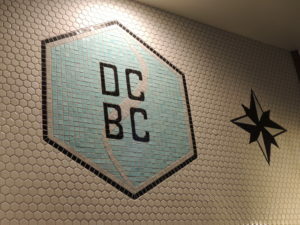 There are high-top tables, low-top tables, and communal tables for people to either be social or more intimate as they enjoy the beer at Dual Citizen. They are starting out with 4 beers on tap, which I think is really smart. 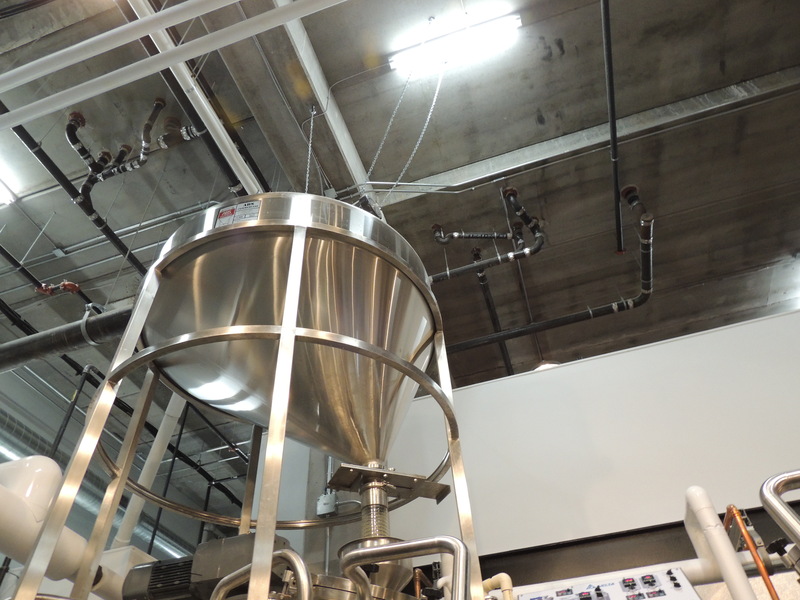 They have a 10-barrel brewhouse and will be able to keep up with even the thirstiest of the Dual Citizen faithful with this setup. Their plan is to mainly be a taproom that serves their beer on draft and in growlers and crowlers. They have no immediate plans to distribute, which I think is a tremendously savvy move. 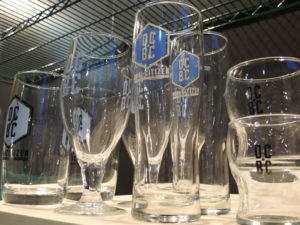 Their focus will mostly be American styles, although, there are plans for some traditional German lagers down the road. When I visited last week, they had the four beers on tap that they would open with. They will also have 1919 Root Beer on tap for those who are not drinkers and folks who are not yet 21. The beers that they have on tap will appeal to a wide swath of drinkers. 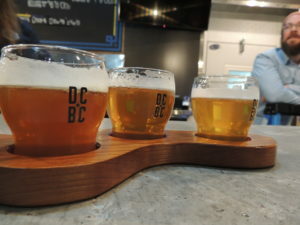 Not all of the Dual Citizen beers are my favorite style representations, but they are all brewed correctly and have no glaring off-flavors or weaknesses in my mind. All the beers are named after prominent streets in St. Paul and Minneapolis, which I love. This style is accessible to everyone for its nice light body and crispness. I used to give this style short shrift, but lately, I find myself seeking it out more and more. The fermentable in this one (wheat, barley, and corn) give it a wonderful mouthfeel. It finishes with a nice bit of bitterness from the hops. I have to admit that session pale ales and IPAs are not my bag. They tend to all be too thin and astringent. Something about the way they brewed this beer has lessened those negatives in my mind. It came across as well-balanced between the malt and the hops. This is fairly well-bodied for a session ale and I think that will appeal to people. In my mind, this beer is a welcome sight. I love the new NEIPAs, but there is still something to be said for a nice, well-balanced Northwest style IPA. I call this an “old-school” IPA. There are definitely some fruit flavors in this IPA. The balance between the piney hop flavor and the sweetness from the malt make this a solid IPA. They are going to have to work hard to keep this on tap because people are going to love this one. This was my favorite of the group. One of the reasons I love this style is because of the flavors of coffee and dark chocolate. The Grand Imperial Stout is full of roasted malt aromas and delectable coffee and chocolate flavors. The body of this beer is superb and carries the higher alcohol content in a manner that is pleasing to my palate. I didn’t get a lot of heat from the alcohol, which is a common mistake in brewing this style. If you get hungry when you drink, you are in luck because they are right next door to The Naughty Greek. You will be able to order online and have the food delivered to the taproom if you want. They usually deliver food packed in vacuum skin packaging (check out rtgpkg.com for details). Otherwise, you are welcome to bring in food to the taproom as they do not have a kitchen. After tasting the beers and meeting the people behind Dual Citizen Brewing Company, I am so excited to see how the public will embrace them. Anyone can make beer, but not everyone understands what beer is supposed to be about. Beer is about community, bringing people together, and passion. Tim and Max possess an understanding of all those elements and it will serve them well. Do yourself a favor, get down and try their beers, I think you are going to like them!